Amidst those stalwarts of early 70s folk-rock (Steeleye Span, Fotheringay, Pentangle) this year’s Great British Folk Festival at Butlins Skegness, also had a bit of late 70s new wave protest-singer vibe to it, with both Billy Bragg and Tom Robinson on the bill. Apart from seeing him do a guest spot for one song at Fairport’s Cropredy festival, I’d never seen a full Tom Robinson set until this evening. Robinson is one of those artists that I’ve long been aware of but I’ve only really ever been familiar with a handful of his songs. I remember being amazed (and pleasantly surprised) hearing Glad To Be Gay on the Secret Policeman’s Ball album as a young teenager. I remember his early 80s hit War Baby being on the juke box when I had a job collecting glasses in my local. 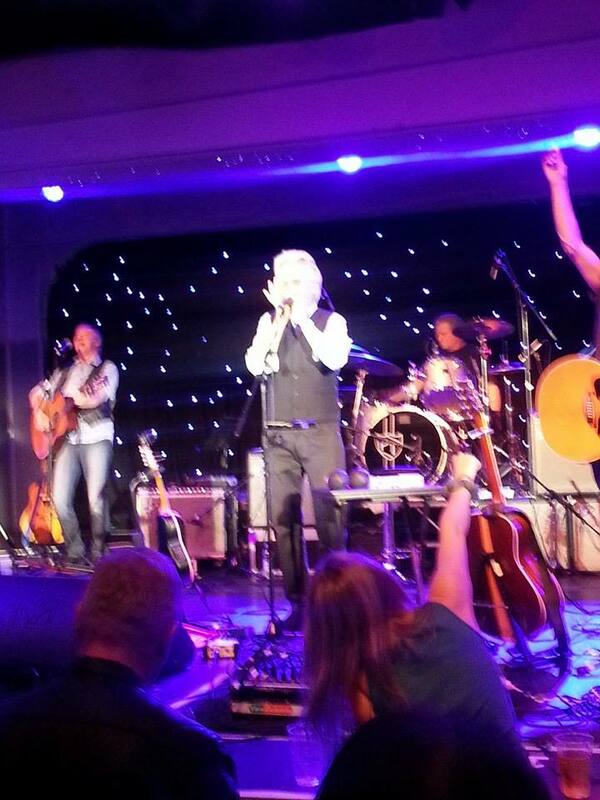 And, of course, I was familiar with the wonderful 2-4-6-8 Motorway which we all sang along to at Cropredy when he did his guest spot with Fairport there a couple of years ago. But beyond that, my knowledge was pretty thin. We had a bit of a crash course from one of our number who is a serious fan on the way there and got to hear his new album in the car on the way up. So what did I find? A really engaging performer. A singer and musician whose passion and sense of justice burns as brightly now as it did thirty-odd years ago. Some great entertaining songs – new and old. A really amusing and often hilarious raconteur. And a sincere and convincing advocate for the power of music as a force for good. In short – he impressed. A quick scan of our Grindr apps (purely in the interests of demographic research you understand) would suggest that early December at Butlins in Skegness is perhaps not the gayest of venues. But what the folk scene lacks in diversity, it certainly makes up for in tolerance. One of the absolute highlights in a weekend of many highlights was seeing the massed ranks of the Bulins crowd bellowing out each chorus to Glad To Be Gay. I’m certainly glad to have seen Tom Robinson. And I look forward to exploring further. The Full English archive has been a major cultural heritage exercise pulled together by the English Folk Song and Dance Society, resulting in a gigantic online resource of songs, tunes and dances that were originally assembled by some of the most renowned late Victorian and Edwardian era folk song collectors. There have been numerous spin-offs from the project, including study days, schools programmes, not to mention an album and a live band. Academic and performer, Fay Hield, was commissioned to pull the musical project together and assembled a band with some of the key figures from contemporary folk. 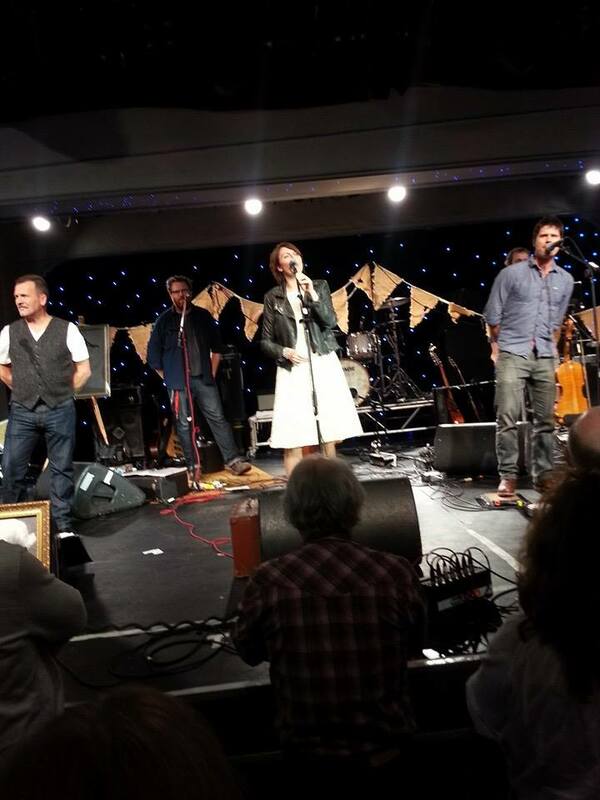 Joining Hield were Seth Lakeman, Martin Simpson, Nancy Kerr, Ben Nichols, Rob Harbron and Sam Sweeney. A successful tour and album followed, so successful in fact that they’ve all got together again a year later for another tour which culminates in tonight’s performance at the Centre Stage venue at Butlin’s Skegness. Although this is very much a folk gig rather than a folk-rock gig (acoustic instruments, no drums), it is impossible to overstate the sheer instrumental power of the band on stage tonight. The quality of the musicianship and the singing is absolutely superb but the Full English was always about celebrating the songs and they have the most brilliant set of songs to offer. As with the album, the band opens with Awake Awake. The sound (which had caused problems for other acts over the weekend) was perfect, the atmosphere was electric and it became clear that this performance would be the definite highlight of the 2014 Great British Folk Festival. I have played the Full English CD over and over again this past year but those watching the live show are treated to additional songs as well that are not on the original album. This includes a wonderfully eccentric version of King of the Cannibal Island sung by Nichols. Apparently, 19th century missionaries had a vested interest in whipping up public hysteria about cannibalism as it was great for the fundraising for future missions. This song has its roots in such propaganda. I Wandered By a Brookside and High Banbaree are other welcome additions. Fans of the album, though, will have been pleased to hear Simpson sing Creeping Jane, Portrait of My Wife sung by Lakeman and Hield and Kerr’s wonderful duet on Arthur O’Bradley, the traditional tale of the archetypal wedding from hell. Not all of the songs are actually from the original archive. Fol-the Day-o is a new song written by Kerr to celebrate the traditional songs and music in the archive while Linden Lea (a song I remember learning at primary school for an evening of patriotic songs to celebrate the Silver Jubilee) the William Barnes poem that Ralph Vaughan Williams set to music. Both are there to demonstrate that folk music survives and thrives well beyond the era of the golden age of Edwardian folk-song collectors. Coming back on to rapturous applause they encored with Man In The Moon, an old music hall song who’s lyrics and tune somehow became separated but were re-united once more thanks to the Full English archive. It’s one of the most memorable songs on the album and this long lost song is well on its way to becoming a modern-day folk classic. We were all encouraged to sing along enthusiastically, perhaps demonstrating Cecil Sharp’s maxim that it’s the selection for community singing that makes a song a folk song, rather than the format for which it was originally written. Or maybe an out-of-season performance in the main show-bar at Butlin’s isn’t too far from music hall anyway. Whatever, it was a great song to finish a spectacular performance of one of the most significant folk music projects in many, many years. Traditional sea shanties, juxtaposed with songs reflecting the north-east’s industrial heritage, mixed in with some biting but elegantly-written social commentary, together with a few well-chosen covers – it all makes for a varied and fascinating set-list. And given it’s almost Christmas we also get a few traditional wassailing songs thrown in as well. 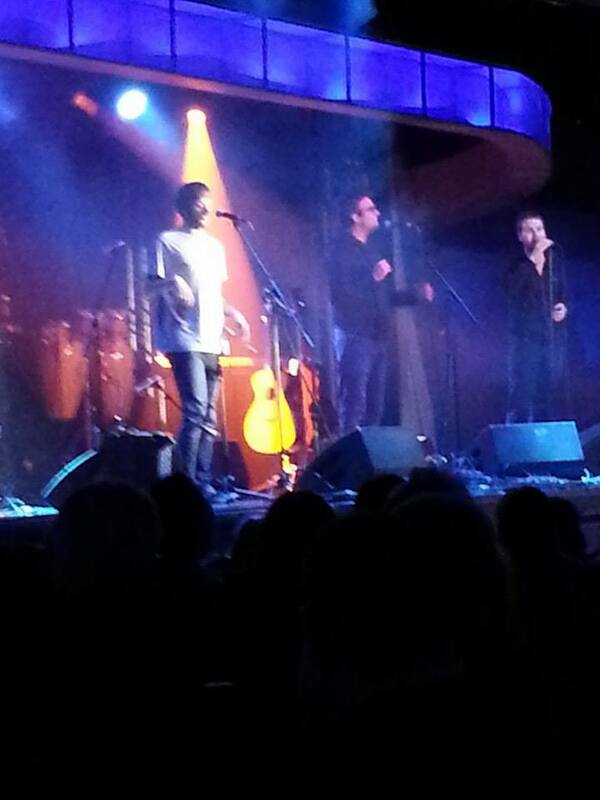 Tonight’s performance saw them introducing some songs from their forthcoming album (to be released next Spring). When a film crew from the notorious Channel 4 show, Benefits Street, descended on one street in Stockton-on-Tees they were physically chased away by local residents. You Won’t Find Me on Benefits Street appears on the album and is performed tonight – celebrating proud defiance in the face of grinding poverty and humiliating set-backs. Well-written meaningful songs that are beautifully sung it is well worth getting hold of the Young ‘uns albums. But for a real taste of the trio’s infectious humour and brilliant stage presence you have really, really got to see them live as well.